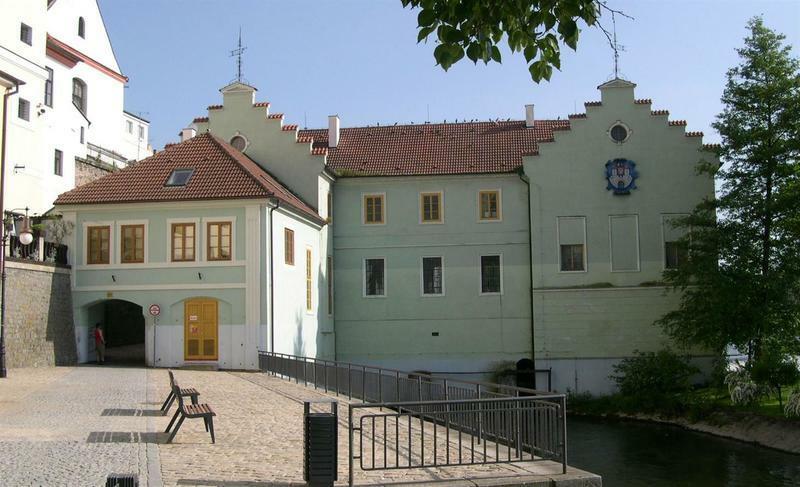 In Pisek, I would take walks around town. Each time was a joy, even if it was the same route as previous. 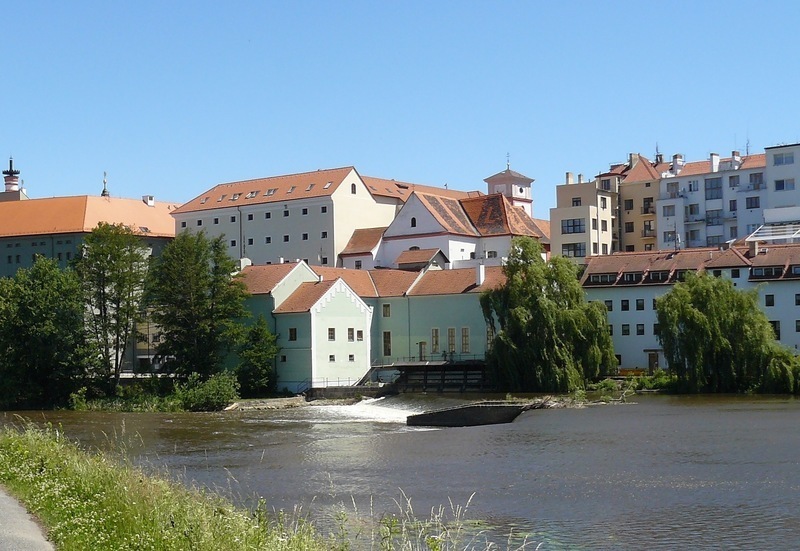 I would go down to the river from our apartment on Velké Námēstí and turn along the Otava river, just before the old bridge; the oldest stone bridge in Czech, and walk along the river on one side and the castle wall on the other side. At the end I would run into the electric generator building. František Křižík was a contemporary of Thomas Edison and competed with him as to who would first invent the light bulb. November 1879, Edison officially patented his light bulb. The opening on the left is a little tunnel which gets you to the other side of the mill. As you come out on the other side you can hear the humming of the belt which drives the generator via the turbines. This picture is taken from the opposite side of the river. You can barely see the “dam” in front, built to redirect the water to the opposite side of the river, to feed the power plant. 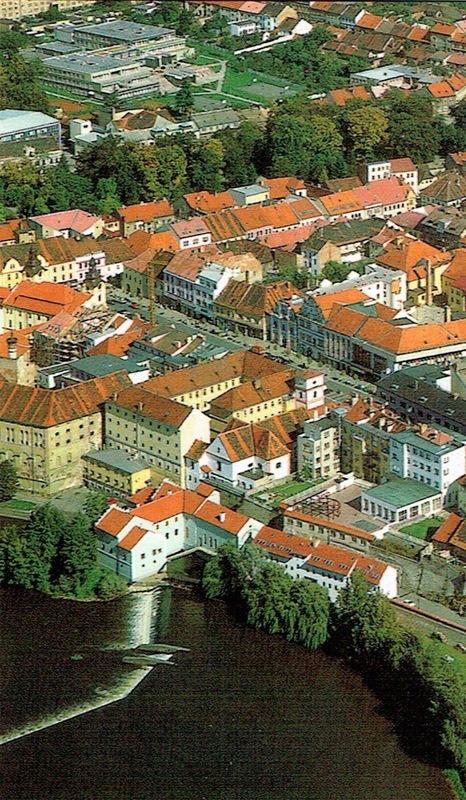 All throughout South-West Czech, towns by rivers have these power plants. So, what does that have to do with Folsom Lake? Why didn’t they build a higher dam in Pisek? The land behind Pisek is pretty flat, so there is no way taller dams are possible, but by each town having its own power plant every bit of water flowing down-stream can be used. Folsom Lake is not that different, other than that it is bigger, but water still has to flow through the turbines to generate electricity. On this picture you can see how the water is funneled into the power plant on the upper part of the river. 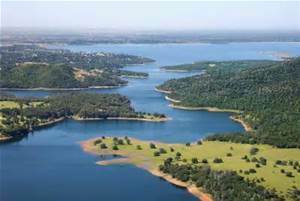 Compare this to Folsom Lake (1955) north of Sacramento, California. It is a much higher dam, but very dependent on precipitation which has been lacking for the last four years. It performs the same function: generating electricity for Sacramento. Because of the elevation difference, the dam could be built higher. Besides electricity, adequate amounts of water are released to keep salt water from the San Fransisco Bay to seep inland into the delta, when it is high tide. It also provides water for Sacramento. Now the lake is almost empty. A full lake on the top, and how it looks now (November 2015) below, after 4 years of drought. 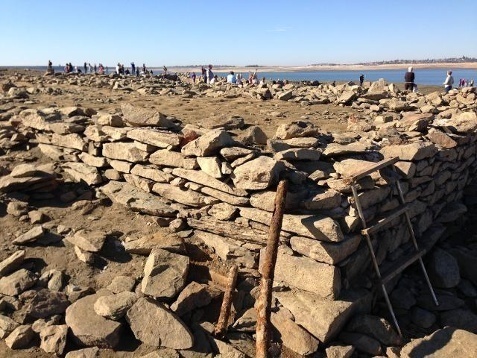 Hundreds of people headed out to Folsom Lake to see ruins from the old Mormon Island settlement. Mormon Island thrived during mining years with as many as 2,500 people, complete with four hotels, a school and seven saloons, according to some historical accounts.